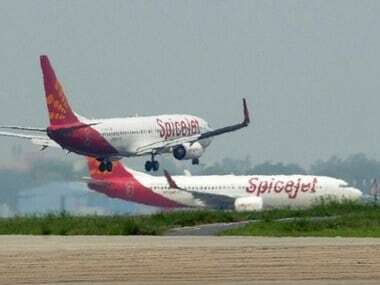 The return of budget carrier SpiceJet to black is indeed a positive news for the aviation industry as it today reported a net profit of Rs 22.5 crore for the quarter ending 31 March, a turnaround from the net loss of Rs 321.5 crore for the same quarter last year. On an EBITDA basis, SpiceJet reported positive Rs 80 crore, against negative Rs 235 crore the previous year. The income from operations, however, declined by almost 40 percent to Rs 786.32 crore in the reporting quarter as compared to Rs 1,300.75 crore in the January-March quarter of the fiscal 2013-14, the airline said in a release. "The numbers include the benefit of renegotiated contracts and settlements, the provisioning for re-delivery expenses, and a net gain on an insurance claim," SpiceJet said in a release. Commenting on the earnings, SpiceJet, chairman, Ajay Singh said, "These results indicate that a recovery is in progress, and is the first tangible evidence of the ongoing revival. We are confident that we will build a world-class airline and this is the first step. We still have a lot of work to do." Singh further said, "I am delighted to see the airline that I helped create this month 10 years ago starting to get back on its feet in this manner." During this quarter, Singh, the carrier's original founder-director took charge c after acquiring the entire 58.46 percent stake of Kalanithi Maran and Kal Airways Pvt. Ltd in February as part of a revival plan. Singh then focused on restoring operational reliability and winning back customer confidence to boost revenues. He also negotiated settlements and re-negotiated several major contracts to bring down costs. The airline ended the quarter with a load factor of 81 percent. SpiceJet, COO, Sanjiv Kapoor also expressed happiness with the company's performance in this quarter. "I am thrilled that with the return and backing of the founder of the airline Mr Ajay Singh, SpiceJet has is clearly turning the corner. I firmly believe this is the start of what will be noted as a historic airline turnaround not just in India, but in the world," Kapoor said. On 21 May, SpiceJet, which came close to collapsing in December after running out of cash to pay its creditors, said that it was looking to raise an additional Rs 300 crore ($47 million) and increase its fleet size to 45-50 aircraft by the end of fiscal 2015. 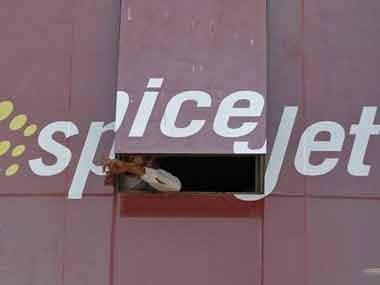 In March, courts had ordered DGCA to deregister 11 of SpiceJet's Boeing planes following disputes with three lessors. The company's website says the carrier currently has 15 Bombardier and 19 Boeing aircraft in its fleet. As part of the plan, approved by the civil aviation ministry, Singh committed an investment of Rs 1,500 crore in the carrier, of which he has already infused Rs 500 crore in February immediately after taking over its ownership. On 19 May, celebrating ten years of operations, SpiceJet had announced that it would be offering tickets for as low as Rs 1, 010 inclusive of taxes. he three-day special sale ended on the midnight of 21 May and tickets at the discounted rate will be available for flights from 1 July 2015 to 15 October 2015. The Gurgaon-based carrier currently has a fleet of 34 planes - 19 Boeing 737s and 15 Bombardier Q-400s operating over 235 daily domestic and international flights.